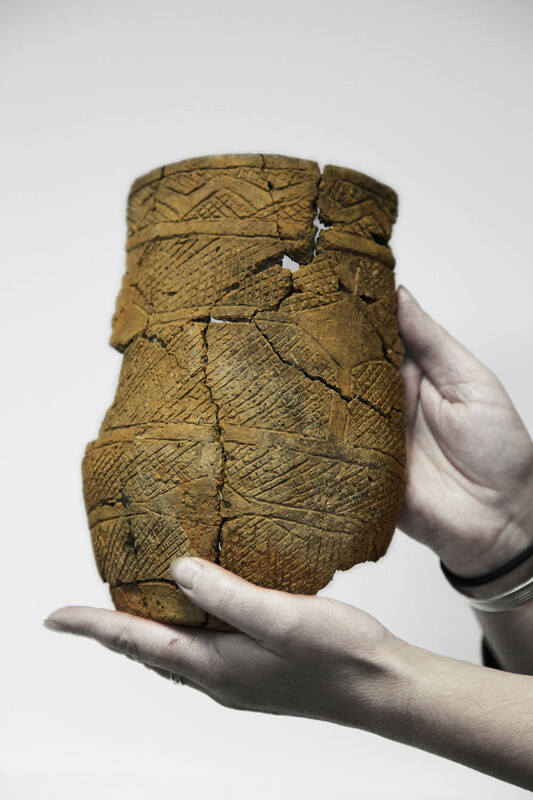 NAA has been working with Yorkshire Water as it reinforces its network of drinking water mains across the region, ensuring that the impact of pipeline construction on the area’s extensive archaeological remains is appropriately mitigated. A series of mains from Scarborough to Beverley and Bridlington provided NAA with the opportunity to study a transect across the chalk uplands of the Yorkshire Wolds and the wetlands of the Vale of Pickering and the Hull valley. The investigations revealed remarkable aspects of past human use of the landscape, from prehistoric times to the Anglo-Saxon period. 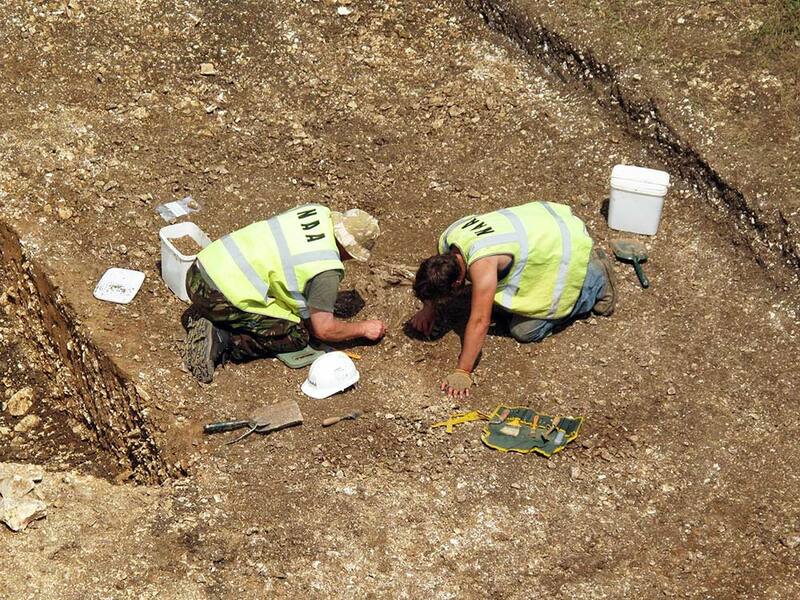 Deposits of Neolithic pottery, flint and human bone were found in an extensive area of pits, and other, larger pits were used to demarcate linear boundaries. Arrowheads of Neolithic and Bronze Age date, and numerous other flint tools, such as a stone battle axe pointed to contemporary technologies. Evidence of death and ceremonial burial was found in the form of repeatedly re-used Bronze Age round barrows, and Iron Age square barrows. Later prehistoric and Roman-period fields were recorded, along with several previously unknown settlements of these and later dates. Finds of jet objects and bronze brooches spoke of traditions of adornment and fashion. 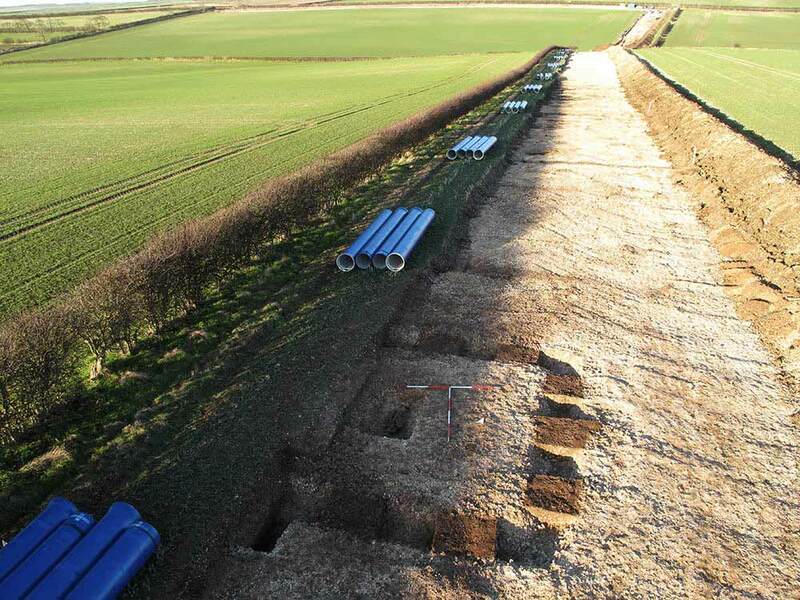 NAA’s prompt and efficient work enabled Yorkshire Water to conclude the pipeline constructions without disruption, whilst ensuring the archaeology was thoroughly mitigated. This is particularly important with linear schemes, in which archaeological sites may only be partly revealed. NAA’s expertise has enabled a detailed record of the archaeology in the areas affected to be made and has been revelatory in gaining understanding of the use and development of the local historic landscape.